Hey guys, my name is Cameron Taylor, and I am a 22 year old based in Nashville, TN. I've known about this sports forum for a very long time, and I registered a while back. For whatever reason, I've never bothered to actually participate here. I used to love messing around with GIMP and trying to design sports signatures in middle school and high school, and I know I would always get linked here by someone when I was looking for a particular sports render. I know this place had an awesome cut gallery at one point in time. Not sure if it still exists, but it was amazing back then. Anyways, I figured I'd go ahead and introduce myself. Life has certainly changed since middle school and high school. I'm certainly not on forums 24/7 anymore. I actually used to be on a couple sports forums that some people might be familiar with. I was somewhat active on CenterStageSports and ProSportsRivals, back when those forums existed. I also used to be hugely involved with a number of ProBoards sports forums, back when there was like a million sports forum hosted on there. I guess that was back when I was still on UpperDeckKids. Clearly I'm old now. Looking forward to talking about sports! Some of those boards sound familiar. I feel like one of them was going to merge into this forum or something at one point in time. Maybe I'm mistaken on my history though. CSS and PSR were both owned by a guy named Dave, if you know him. Edited by 2787cmt, 26 February 2019 - 02:23 AM. Welcome man. Did you have a different name over at CSS? I went by 2787cmt, but I was never super active anyways. Just mainly a lurker. Thanks, your signature is great. Been listening to Pardon My Take for the last year or two now. 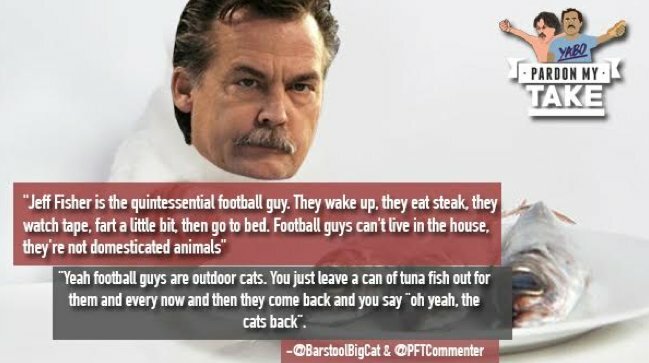 PFT is my guy.